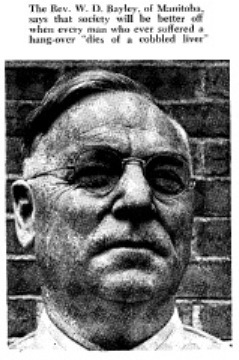 Note: Readers are encouraged to send potential leads, sources, or thoughts relating to E.M. Jellinek’s life to Judit Ward, at jhajnal@rci.rutgers.edu, or Ron Roizen, at ronroizen@frontier.com. With thanks in advance, from both of us. 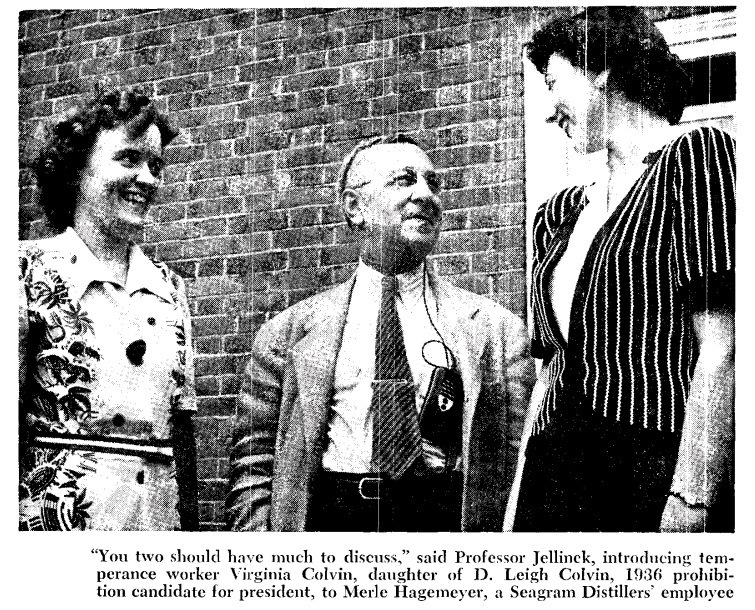 Placed adjacent these opening sentences was the happy picture shown above, featuring E.M. Jellinek, with a coyly grateful smile, flanked by two clearly delighted Yale Summer School students, one from the temperance tradition and the other from Seagram’s. 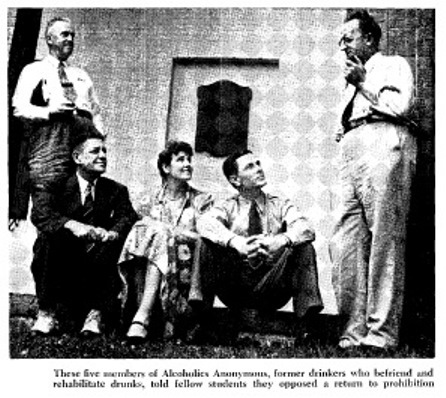 Porter’s article was titled “Wet and Dry School” – thus telegraphing from the get-go that the new institution took no position on the great alcohol controversy and cultural schism that, by 1943, had preoccupied the nation for more than a hundred years. Such magazines as Collier’s, Look, and Life provided the photo journalism of their day. Several photos of the Yale school’s activities, faculty, and students accompanied Porter’s text — these credited to Collier’s photographer Hans Knopf-Pix. Four are reproduced in this post. 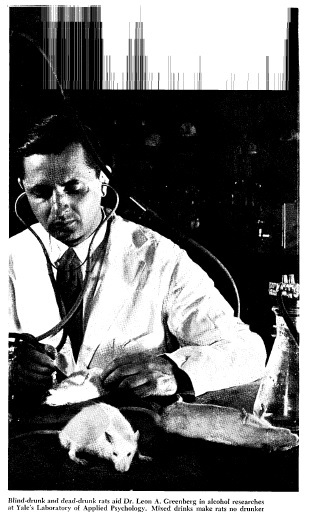 Porter’s focus on the possibility of a happy coming together — call it a national reunion — of Americans around the alcohol issue illuminated an important and yet little discussed latent function of “the new scientific approach” to alcohol that Jellinek and his Yale school colleagues proffered. Closing the old dry-wet schism strengthened national unity just when the country needed unity most, during the great and ongoing national emergency of the Second World War. But how? How exactly was science fitted to that unity promoting task? Porter’s three-page article, brief as it was, found hints of how in Jellinek’s approach to the new Yale school. Jellinek and the new Yale school also diffused the old conflict by implicitly suggesting there was a new sheriff in town. All educational enterprises are of course also authority claims. The mere fact that the Yale summer school program was called “a school” harbored that key implication. Schools provide venues for an instructor’s superior knowledge to come in contact with students’ lesser knowledge. Hence, the new science’s claim to a new cultural hegemony is tacitly affirmed by the students’ mere willingness to attend something called a “school” on this subject. The Yale school’s pedagogic fare wasn’t entirely unproblematic for some students, however. Instructional attention to the subject of alcoholism drew mixed responses from dry students. The temperance movement traditionally harbored ambivalent feelings about alcoholism. Why try to help the broken bodies at the base of the cliff, an old temperance saw said, when one could build a sturdy fence at its top to keep people from falling? Next Post → The Return of the Crack Baby. Again.